Are you interested in finding out more about EFT/Tapping? The Tapping World Summit 2019 is a great way to do this! This is a FREE event which brings together some world-class practitioners to share some of their experience in the many different areas that EFT/Tapping is changing lives around the globe. Each day there is a theme and 2-3 practitioners will share their insight into this and then lead a tapping session which YOU can tap along with at home! In this way you will be able to learn more about how tapping can benefit that particular problem and gain benefit from the tap-along session. Choose just 1-2 sessions that interest you, or commit to doing 1 session a day for the 10 day summit and see the shifts that happen in your life! Bear in mind though that while this summit is usually fantastic and really inspiring to learn about all the different areas of our health/life/relationships that can benefit from Tapping, the BEST, most lasting benefits will always come from working one-to-one with an experienced practitioner (such as myself!). This is because tapping work best when you can be AS SPECIFIC AS POSSIBLE – both to YOU and to YOUR EXPERIENCES/THINGS THAT SHAPED YOU. So: Please sign up for the summit. Enjoy and be inspired! Have you heard of glyphosate? Glyphosate is the most frequently used weed killer in the world. Glyphosate is a chemical in Monsanto’s signature herbicide, Roundup. Use has skyrocketed in the past 20 years. Glyphosate is everywhere, and it’s not “just” an herbicide. It is a broad-spectrum antibiotic and mineral chelator which may potentially immobilize nutrients and kill microbial life in the soil. Glyphosate is bad for soil health and bad for people, too. Not only does it affect crops it’s sprayed on, but it may also negatively affect your gut health. Farmers are increasingly using glyphosate as a drying agent (a desiccant). To enable easier harvest, glyphosate is sprayed to kill and dry out crops. It is being sprayed directly on conventionally-grown crops, like wheat and oats, during harvest. This process speeds up the drying (desiccation) process, but puts our health at risk. There’s a good chance this toxic weed killer is in the food you and your family eat every day. In a recent scientific study, glyphosate residues were found on staple breakfast cereals that are popular among children! The World Health Organization’s (WHO) International Agency for Research on Cancer has classified glyphosate as “probably carcinogenic in humans” . In addition, glyphosate is a known endocrine (hormone) disruptor.A growing number of countries are restricting or banning this dangerous chemical outright. Unfortunately, South Africa is not one of the countries, and in fact, South Africa has agreed to allow pilot projects in the country to experiment further with the use of Glyphpsate on staple food crops such as wheat and maize. Glyphosate is also routinely used as a weedkiller in gardens and public spaces such as parks, sports fields,etc, where young children are often in direct contact with the sprayed areas. Are you happy having your children exposed to this toxic chemical? I’m not! Advocate and lobby for an outright ban as some forward-thinking countries have already done. Support organic farmers and eat organic food. Organic farmers don’t use glyphosate. Insist on more organic options being available at your local supermarket. The more people who start asking for organic products, the more will be made available. Grow your own food. It is easy and rewarding to grow your own fruit, vegetables and herbs. Even in limited space or indoors, window boxes can grow a surprising amount. If we all grew at least some of our own food, this would decrease the burden on commercial farmers to farm bulk food using unsustainable methods. Researchers have reported that supplementing one’s diet with cranberries can help reduce the harmful effects that a low-fiber, meat-based diet causes in the gut microbiome. Goes to show that our ancestors knew what they were doing when they served cranberry jelly/sauce with meat! Just ensure that your cranberries are organically sourced as these are commonly highly sprayed with pesticides. Dr Peta Stapleton has 20 years experience as a registered Clinical and Health Psychologist in Queensland, Australia. She has led the Australian research into Emotional Freedom Techniques (EFT) or ‘tapping’, which is used to treat a number of conditions including chronic pain, obesity, anxiety and stress. Wishing you and your loved ones a happy, healthy and vibrant new year, filled with joy and adventure! I hope that you had a fun, restful and rejuvenating festive season. If you would like any help along these lines, book an appointment with me and we can work on your goals together. Simply reply to this email to arrange a suitable time. Or how about starting the year off by joining my personalized 8 week wellness journey to vibrant well-being on all levels: body, mind and spirit? Remember: There is no better investment you can make than in your health and well-being. Spring is a time of rebirth and renewal in nature. It is a time to rejuvenate and renew our mind, body and spirit. In many cultures cleansing rituals are undertaken during this time. After the long cold winter time which often is accompanied by heavier foods and a slowing down in activity, now is the perfect time to undertake a rebirth. Try freshening up your diet with smoothies, salads and lighter, cleansing foods. 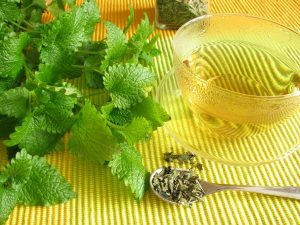 Herbal medicine has a long tradition of a spring detox tonic, clearing the liver and supporting all the organs of elimination: kidneys, lymphatic system and skin. It is amazing how energized and renewed we can feel after a couple of weeks of a well-formulated herbal tonic. Book an appointment to discuss your specific needs for your detoxifying herbal formulation. How about trying out a new form of exercise, or re-committing to a favorite activity that you may have let slide? Pilates is a great way to align body and mind and get strong, fit and toned for summer. We can take this time to review how far we’ve come already this year and perhaps re-focus on what we still would like to achieve before the year-end. If you are feeling stagnant or uninspired then consider booking in for an energy treatment such as Reiki to help shift your energy and get you into your flow again. Or, if you have specific areas of your life that you are struggling with such as relationships or work, or find yourself stuck in recurring patterns that you wish to change, why not try EFT/Tapping? This is such an incredible transformational tool, in just a few sessions, huge shifts and deep healing are possible…. Whichever method you choose, take this time to pause, recognize and celebrate the renewal, optimism and energy of springtime…stop and smell the flowers! Wishing you a joyful time and looking forward to seeing you soon. Interesting article on the need for a major paradigm shift in mainstream medicine to incorporate EFT and other bio-field therapies. It’s time to recognize that there is now ample evidence-both scientific and clinical, demonstrating the remarkable results being achieved in practice on wide-ranging conditions including PTSD; chronic pain; depression; anxiety and many more, using EFT.